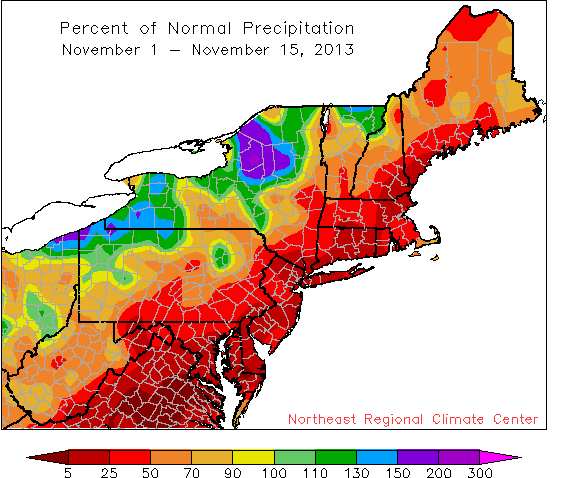 of November, but areas near Lakes Erie and Ontario saw more. 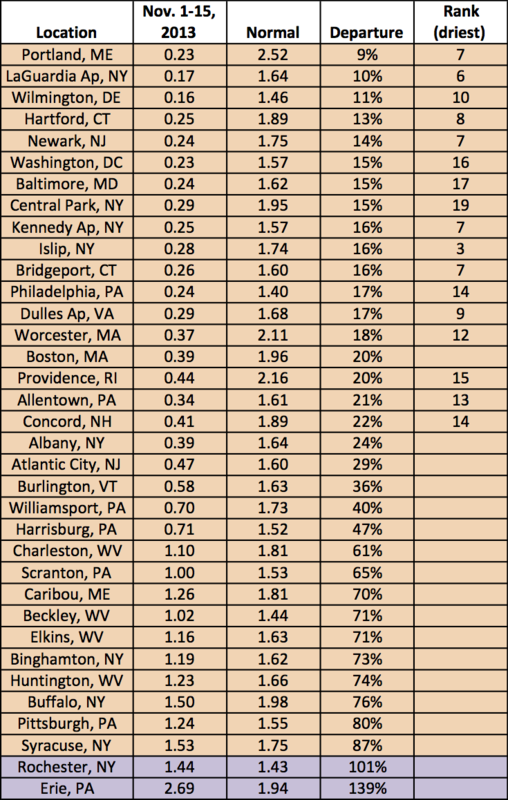 Looking at the first two weeks of November, 33 of the 35 first-order climate sites were drier than normal, with seventeen ranking the period among their top twenty driest. Nineteen sites received less than a quarter of their normal precipitation. Due to the ongoing lack of precipitation and below-normal streamflows, nine of the twelve Northeast states are experiencing abnormally dry or moderate drought conditions, according to the U.S. Drought Monitor released on November 14. Temperatures so far this November have been colder than normal. As for temperature, all 35 climate sites were quite cool from November 1-15, with 32 sites cooler than normal by a degree or more. 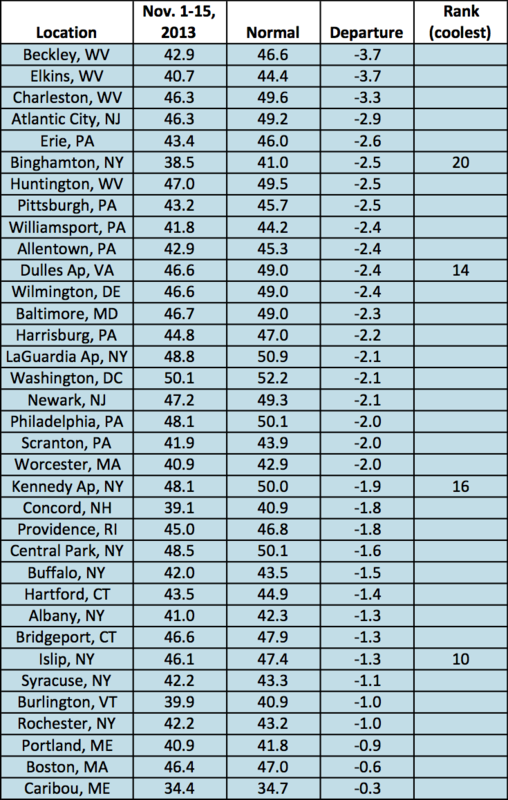 In terms of departure from normal, West Virginia sites Beckley and Elkins were the coolest at -3.7 degrees.